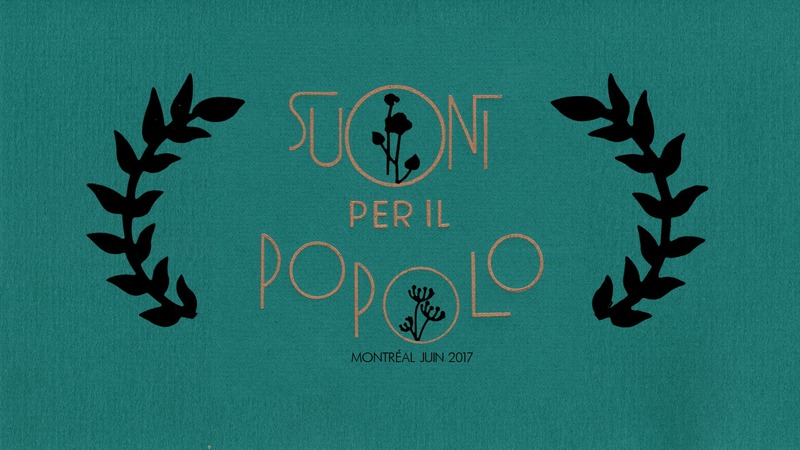 Suoni Per Il Popolo, Revolutions Per Minute, et CKUT 90.3FM présentent Leanne Betasamosake Simpson and Janine Island. Leanne Betasamosake Simpson is a renowned Michi Saagiig Nishnaabeg scholar, writer and artist, who has been widely recognized as one of the most compelling Indigenous voices of her generation. Her work breaks open the intersections between politics, story and song—bringing audiences into a rich and layered world of sound, light, and sovereign creativity. Working for over a decade an independent scholar using Nishnaabeg intellectual practices, Leanne has lectured and taught extensively at universities across Canada and has twenty years experience with Indigenous land based education. She holds a PhD from the University of Manitoba, is currently faculty at the Dechinta Centre for Research & Learning in Denendeh (NWT) and a Distinguished Visiting Scholar in the Faculty of Arts at Ryerson University. Leanne’s books are regularly used in courses across Canada and the United States including Dancing on Our Turtle’s Back, The Gift Is in the Making, Lighting the Eighth Fire (editor), This Is An Honour Song (editor with Kiera Ladner) and The Winter We Danced: Voice from the Past, the Future and the Idle No More Movement (Kino-nda-niimi editorial collective). Her paper “Land As Pedagogy” was awarded the Most thought-provoking 2014 article in Native American and Indigenous Studies. Her latest book, As We Have Always Done: Indigenous Freedom Through Radical Resistance is being published by the University of Minnesota Press in the fall of 2017. As a writer, Leanne was named the inaugural RBC Charles Taylor Emerging writer by Thomas King. She has published extensive fiction and poetry in both book and magazine form. Her second book of short stories and poetry, This Accident of Being Lost is a follow up to the acclaimed Islands of Decolonial Love and will be published by the House of Anansi Press in Spring 2017. Leanne is also a musician combining poetry, storytelling, song writing and performance in collaboration with musicians to create unique spoken songs and soundscapes. Leanne’s second record f(l)light produced by Jonas Bonnetta (Evening Hymns), was released in the fall of 2016 on RPM Records. The phrase, “No man is an island,” suits the occasion when speaking of sound-sculptress and creative violinist, Janine Island, whose isolated 70’s-hippie/anarchist communal upbringing fostered a savant autonomy culminating in a staunch resistance to the military-industrial-complex affecting western culture. Her compositional methods revoke any obligation to conform to expectations and often venture into the ethereal with Cagey-indeterminacy. Sound is treated as a living being, allowing for its convergences to interact with the existing palette and give birth to new sonic cells. Island’s sonic excursions are introduced into her pieces with the same improvisational approach as when performing live, where she engages the metaphysical; enacting her own form of “Ghost Dance” inspired by the spiritual movement that emerged in the late 1880s.